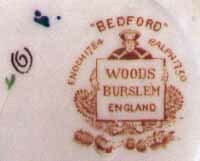 These two patterns were registered in 1930, the same year as DENBIGH, and have consecutive registration numbers: 753689 and 90. 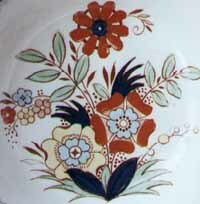 A brown transfer on a cream body, with handpainted flowers in navy blue, green, pale blue, yellow, orange and gold. 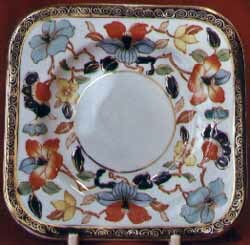 This plate is in near perfect condition with no loss of gold or utensil wear. 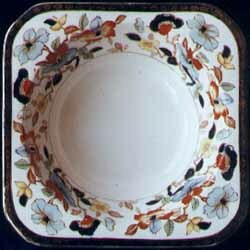 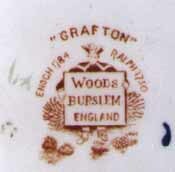 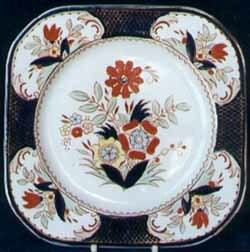 This pattern is hard to find and has a more delicate design than GRAFTON or DENBIGH, with a charming floral border. 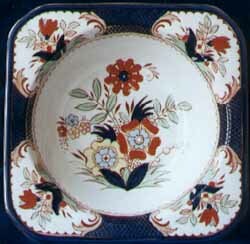 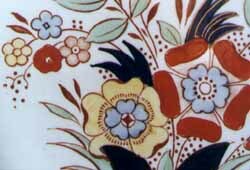 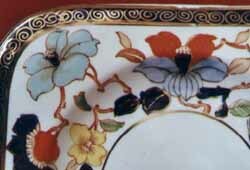 A brown transfer with handpainted flowers in navy blue, green, pale blue, turquoise, orange, yellow and gold.